Cape Town - New visa rules issued by Home Affairs applicable to foreigners who need to execute short-term projects in South Africa, will put R1bn in investment and 1 600 local jobs in jeopardy. According to Theresa Ryan-van Graan, head of production at Moonlighting Films SA, the new application procedure, which was changed without any consultation or notice, has put potentially jeopardised future investment in the film industry in SA. Homeland, a US television series which is due to start production in Cape Town next month, may have to reschedule production days at great expense due to these changes. ”Many of these actors simply cannot leave their current locations and go back to the UK or the US and wait for an unspecified period in London, because the requirements and process are unclear to official and applicants alike. The previous process worked well,’ van Graan said in Cape Town on Thursday. 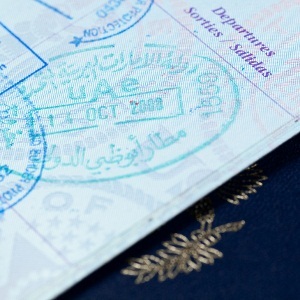 According to a directive issued on April 30 and distributed to local Home Affairs offices and missions abroad this month, the process of application for a visitor visa with permission to work has been changed. In the previous process, the Home Affairs’ Head Office issued a letter of permission after an application was made, which was then attached to an application made at an Embassy or Port of Entry, which has since been completely overhauled. All applications made by visa exempt or visa restricted applicants, will have to be made abroad at a mission. According to Leon Isaacson, managing director of Global Migration SA: "Ten South African missions abroad were contacted today, and only two of them were able to provide information on this process. In both cases, the information provided contradicted what was contained in the directive. "The directive is not clear regarding whether the applicant must make a full application in person at the SA mission abroad for a visa exempt applicant, or whether an approval letter will be issued by the mission in such a case and presented at the Port of Entry on arrival. "There is also no indication of how long the process will take and there is conflicting information about the requirements which creates confusion all round." According to Isaacson, the travel and work schedules of many A-list actors and skilled experts in other fields like oil and gas are such that they cannot return to their home countries to submit applications, as this would create additional cost and inconvenience and severely hamper projects, investment and job creation required by the country. "There needs to be a comprehensive policy review with a working, efficient system which facilitates much needed investment and growth. Immigration is a critical part of that process and should be responsive and efficient," said Isaacson.